Until now, I’ve always walked past this cute little corner café brimming with curiosity an unfortunately full tummy. Tucked in a well-heeled neighbourhood with a Simon Johnson instead of a Coles and a stone’s throw away from the newly refurbished Star, I knew I was in for a treat when my date and I finally walked in. At the suggestion of our charming waiter, we started off with the Bruschetta du Jour ($10.5) that was quite different from the typical too-hard crostini with arbitrary marinated tomatoes. 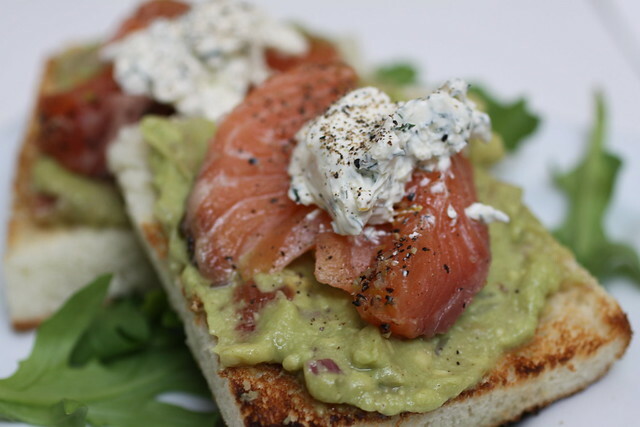 A rosette of salmon “confit” crowned with a dollop of dill-infused crème fraîche was presented on a silky smooth blanket of mashed avocado atop pillowy pliant foccacia. I could not have enough. 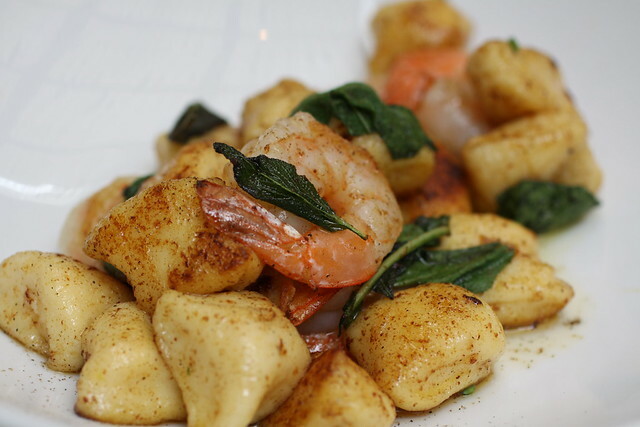 The Handmade Gnocchi with Burnt Butter Sage Sauce and Chargrilled Prawns ($18.5) should not be missed. The gnocchi were in beautifully irregular rustic nubbins, richly satisfying with a blend of polenta and ricotta. The sauce was brilliantly perfumed with sage, the verdant leaves fried to a crisp and tossed in for extra effect. Undeniably perfect prawns completed the trifecta with their moist crunch and marine sweetness. My Chef’s Special ($16.5) was good if a little less spectacular. 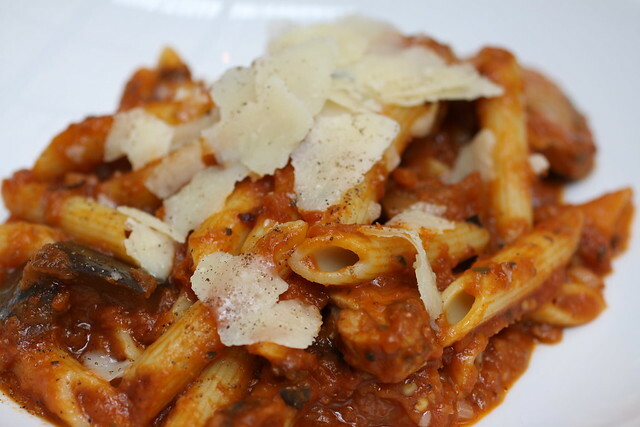 Al dente penne in a pomodoro sauce enriched with eggplant with chunks of pork fillet was tasty but left me still quite hungry. 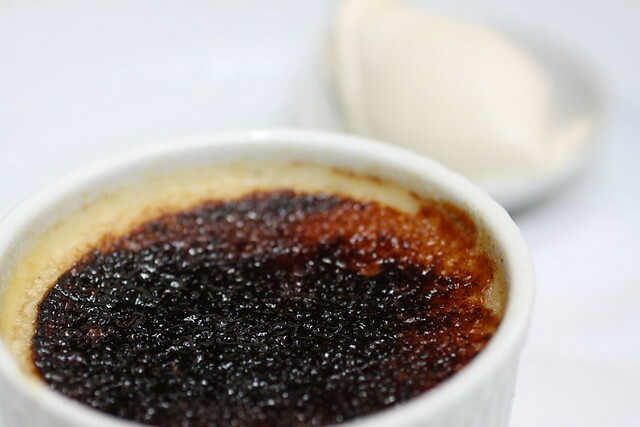 We finished off with a Hazelnut Brûlée with Savoiardi Gelato ($12). This was really quite beautiful with that bittersweet burnt sugar tang having an added nutty edge and balanced by a deliciously creamy gelato capturing that rich yet delicate sweetness of ladyfinger biscuits. A remark on service: For the better part of the meal, we were impressed by our debonair waiter who was full of wonderful recommendations and a rich Italian accent that added atmosphere to the meal. Thankfully only our dessert order was somewhat poorly handled by a rather lazy and irritable Aussie waitress who had to be told to check which desserts were available as she agonised over the possibilities for a good two minutes and - to our shock - hollered them to us across the room. The other diners present appeared rather taken aback too. Typically more exciting than breakfast staples yet far more relaxed than stuffy dinners and with better light for pictures, lunch is my favourite meal to blog about. Furthermore, I love to make the most of every experience so truncated lunch menus that a small table can exhaust are foremost on my list of favourite things. I must say Assiette certainly covered all these bases to win my heart with its three-course two-choice Friday Lunch ($35). 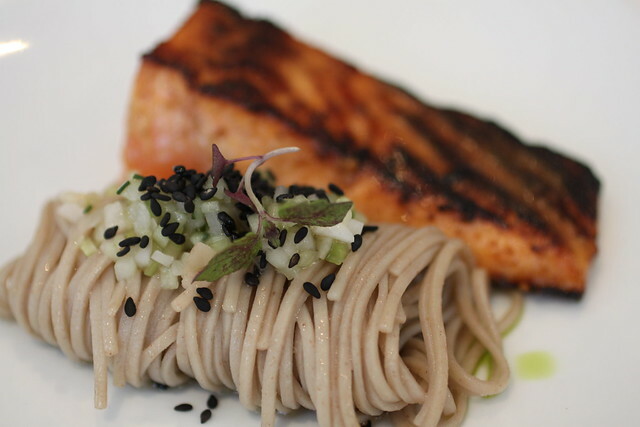 I opted for a Miso-Glazed Salmon with Buckwheat Noodles, Sesame and Daikon as my starter. Arresting in presentation with a medley of subtle and refined Japanese flavours, it tickled my palate perfectly. 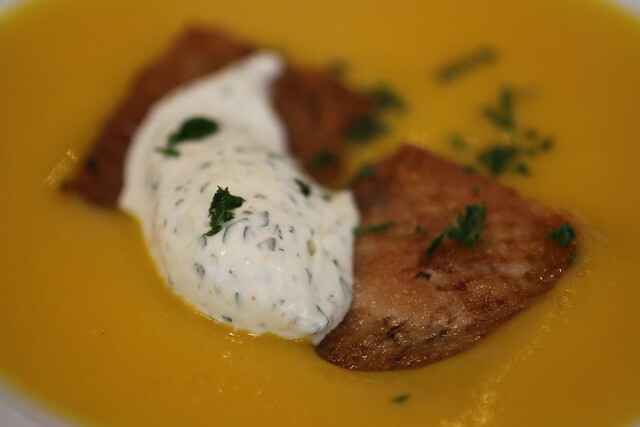 The Pumpkin Soup with Crispy Chicken Wing and Fennel Seeds was a richer, heartier choice. The fennel seeds gave this quintessential comfort food a reinvigorating ethnic zing. 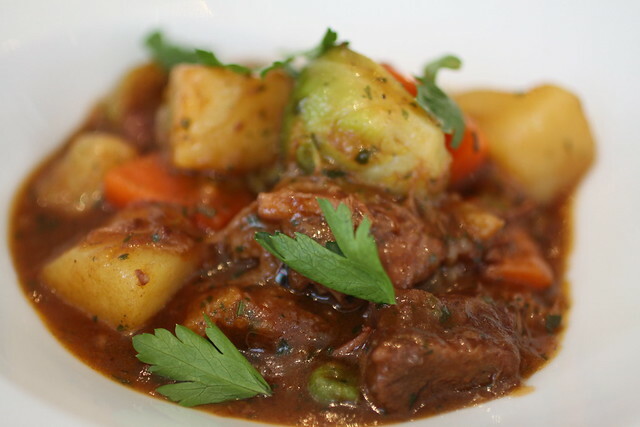 My main came in the form of a Navarin of Lamb in Red Wine, undeniably classic and a safe bet to satisfy. It was elegantly executed and perfectly melt-in-your mouth if somewhat predictable. 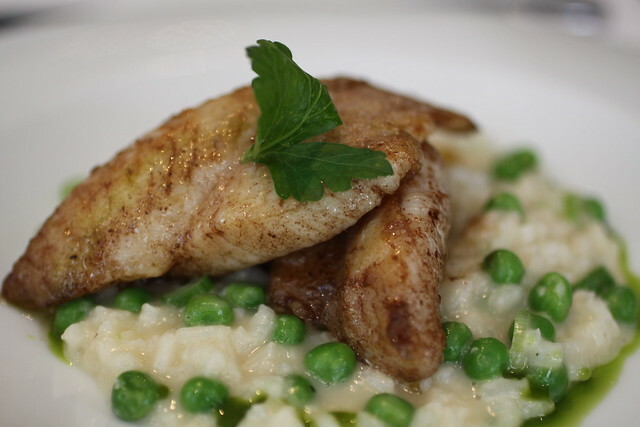 The Pan Fried Sea Bream with Pea and Spring Onion Risotto pleased my companions with the Arborio richness and sweet peas balanced by refreshing spring onion sharpness. All that formed a firm stage for the bream to be presented spectacularly unadorned. 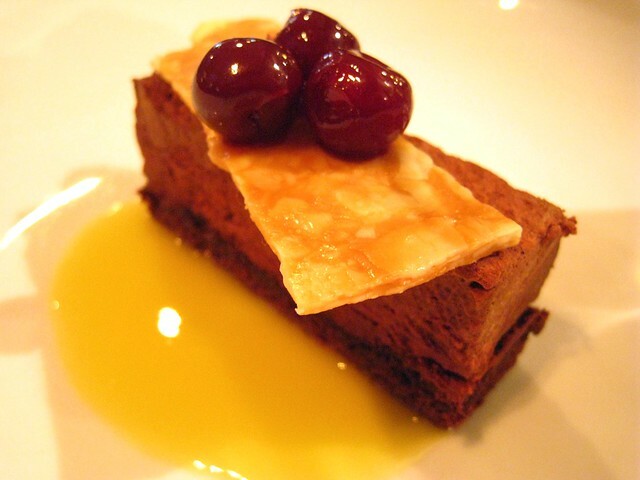 Desserts - without a doubt – stole the show. 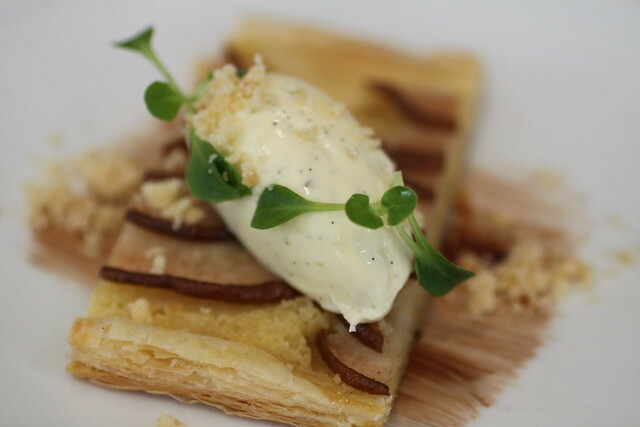 I appreciated the delicate sweetness of the Pear and Almond Tarte Fine with Vanilla Mascarpone. Smooth, vanilla bean-studded mascarpone complemented the fragrant, flaky pastry with more oomph than mere whipped cream ever could have. 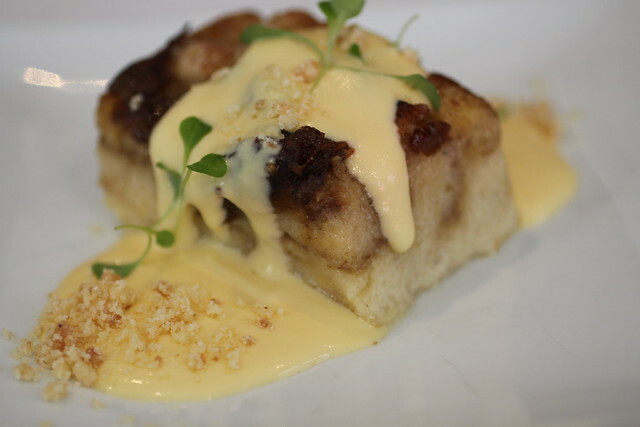 However it was the Bread and Butter Pudding with Orange and Cardamom Anglaise that had my heart. At the first bite, you think you have it all figured out as another run-of-the-mill pudding and are about to dismiss it. Then, subtle, delayed and lingering, the sensual spice hits in an almost playful manner. Much like the fennel seeds in the pumpkin soup; cardamom filled this dusty, age-old standard with new life. I went to Garfish awhile back and rekindled my love for seafood. It was clear from the get-go that this establishment’s faith rests firmly in quality fish. From an ever-changing specials menu reflecting the best fish in season to specifying the geographical origin of what would arrive on my plate, I knew I was in for a treat. Spiced Yellowfin Tuna (NSW) with a side of Harissa Roasted Pumpkin, Chickpea and Parsley Salad with Garlic Yoghurt Dressing ($36) was a substantial slab of fish. 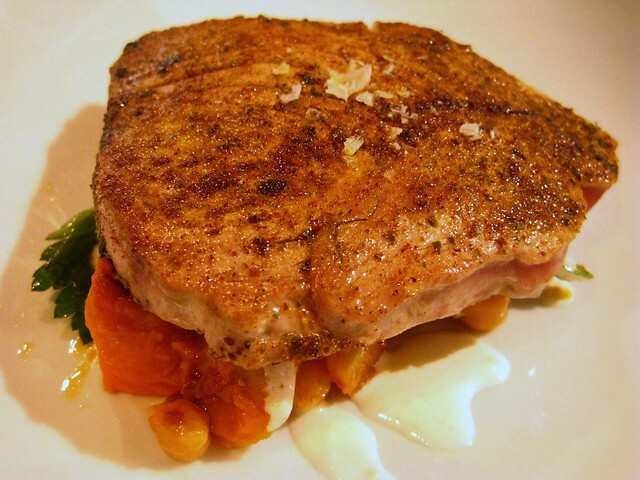 The Mediterranean spice rub lovingly massaged into it was punchy enough to complement the delicious smoky character of seared tuna yet remained nuanced enough to not mask everything completely. 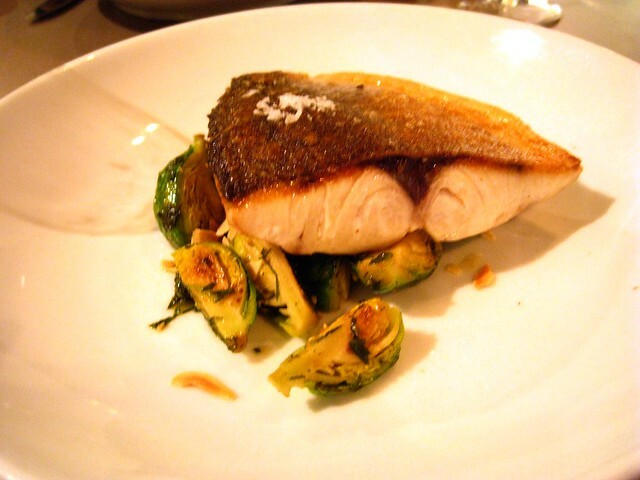 Roasted Hiramasa Kingfish (SA) with a side of Sautéed Brussel Sprouts, Salsa Verde and Toasted Almonds ($34) was the show-stealer of the evening. Its crisp skin alone was an other-worldly experience; impossibly light and crisp in texture yet possessing a wealth of sweet-salty marine flavour. 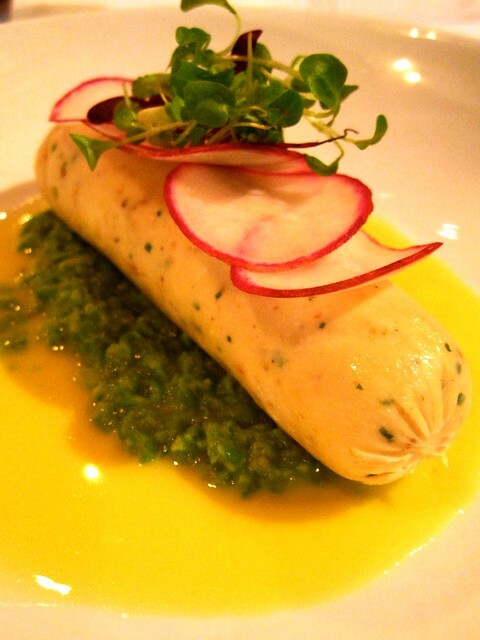 The jury’s still out on the Hiramasa Kingfish and King Prawn Sausage with Crushed Peas, Radish and Lime Buerre Blanc ($20). While the chewy-crunchy mouthfeel was undeniably pleasant, fish cannot provide that greasy stick-to-your-ribs bliss that its terrestrial counterparts can. Chocolate Pave with Griottines, Almond Brittle and Orange Sauce ($13.50) was so smooth and rich that the subtle citrus edge fell somewhat short of being a true counterpoint. I reckon a slightly darker chocolate with a bolder bitter tang would have really brought it home. I'm a medical student at the University of New South Wales with a camera, waistline and appetite that are all too large. Join me for a foray into Sydney's burgeoning restaurant scene, experimenting in the kitchen to stave off burnout and massive Asian cookouts whenever I feel homesick. Disclaimer: These reviews are strictly my point of view and I bear no ill will to the restaurants that receive less-than-glowing reviews.